Parking is available in front of the building and in our parking garage free of charge. Complimentary valet parking is also available. Request a consultation using our online form or call (214) 631-7546 to find out more about our office or the treatments we offer. When you schedule a consultation for cosmetic procedures with a skin care professional or dermatologist at the Dallas Center for Dermatology and Aesthetics, you will also receive a customized “Total Skin Rejuvenation” plan to help you achieve your best complexion. Our office is located on the third floor of the Preston Sherry Plaza building just ½ mile from the intersection of Northwest Highway and the Dallas North Tollway. Dallas/Fort Worth International Airport is just a short 15 to 20-minute drive away. 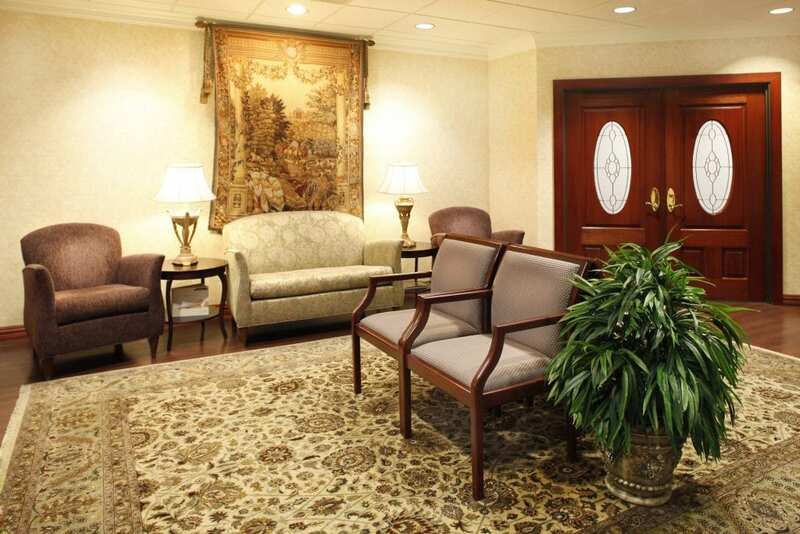 When you visit our office for skin care in Dallas, TX, you will discover a rare but ideal environment. You will receive compassionate treatment provided by highly trained, experienced medical professionals who have clinical expertise in both medical and cosmetic procedures using the most sophisticated technology currently available – all in a pampering, spa-like atmosphere. From general dermatology and dermatologic surgery to cosmetic treatments and laser surgery, our multidisciplinary team made up of two board-certified dermatologists, a physician assistant, and a clinical medical esthetician joins forces to individualize a skin care program for you tailored to meet your unique needs. The convergence of these factors ensures that patients, who visit from Plano, Fort Worth, and other surrounding communities, have an optimal chance for realizing their cosmetic goals, as well as fulfilling their medical skin care needs and making a positive change – both in the image they see reflected in the mirror and in their mind’s eye. We welcome your questions and comments. Just use our online contact form or give our friendly office staff a call at (214) 631-7546. From Highway 75 (Central Expressway), drive south to the Northwest Highway exit and go west. Proceed to the stop light at Preston Road and turn left. Our building, 8201 Preston Road, is located between Wentwood Drive and Sherry Lane on the west side of the road. There is convenient underground parking for visitors and we are located on the 3rd floor, Suite #350. From the Dallas North Tollway, drive south to the Northwest Highway exit and go east. Proceed to the stop light at Preston Road and turn right. Our building, 8201 Preston Road, is located between Wentwood Drive and Sherry Lane on the west side of the road. There is convenient underground parking for visitors and we are located on the 3rd floor, Suite #350. From Highway 75 (Central Expressway) drive north to the Northwest Highway exit and go west. Proceed to the stop light at Preston Road and turn left. Our building, 8201 Preston Road, is located between Wentwood Drive and Sherry Lane on the west side of the road. There is convenient underground parking for visitors and we are located on the 3rd floor, Suite #350. From the Dallas North Tollway, drive north to the Northwest Highway exit and go east. Proceed to the stop light at Preston Road and turn right. Our building, 8201 Preston Road, is located between Wentwood Drive and Sherry Lane on the west side of the road. We are in Suite #350. There is convenient underground parking for visitors and we are located on the 3rd floor, Suite #350. From Highway 635, take the Dallas North Tollway south to the Northwest Highway exit and go east. Proceed to the stop light at Preston Road and turn right. Our building, 8201 Preston Road, is located between Wentwood Drive and Sherry Lane on the west side of the road. There is convenient underground parking for visitors and we are located on the 3rd floor, Suite #350. From I-30, take the Dallas North Tollway north to the Northwest Highway exit and go east. Proceed to the stop light at Preston Road and turn right. Our building, 8201 Preston Road is located between Wentwood Drive and Sherry Lane on the west side of the road. There is convenient underground parking for visitors and we are located on the 3rd floor, Suite #350. From Highway 635, take Highway 75 (Central Expressway) south to the Northwest Highway exit and go west. Proceed to the stop light at Preston Road and turn left. Our building, 8201 Preston Road, is located between Wentwood Drive and Sherry Lane on the west side of the road. There is convenient underground parking for visitors and we are located on the 3rd floor, Suite #350. From I-30, take Highway 75 (Central Expressway) north to the Northwest Highway exit and go west. Proceed to the stop light at Preston Road and turn left. Our building, 8201 Preston Road is located between Wentwood Drive and Sherry Lane on the west side of the road. There is convenient underground parking for visitors and we are located on the 3rd floor, Suite #350.